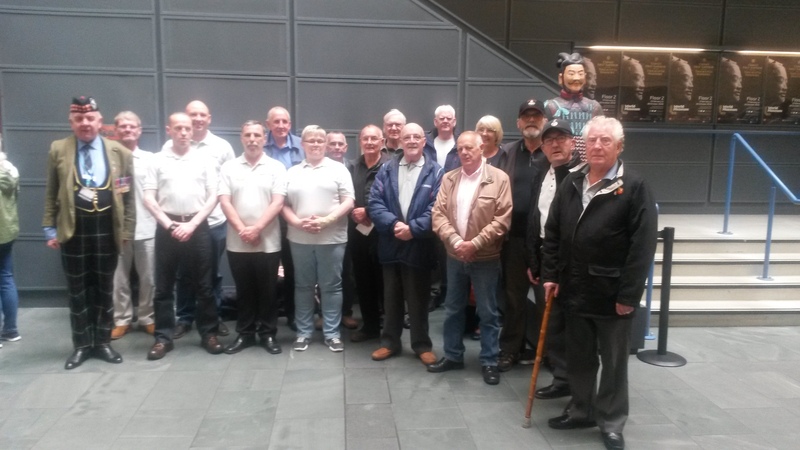 A group of older veterans enjoyed a visit to World Museum in June with a special treasure trail around the galleries. The group was navigated through the museum by a series of questions, the majority of which had a military theme. They also visited the Weston Discovery Centre and Clore Natural History Centre where the museum Education Team talked them through a number of items. The visit was made possible thanks to Joseph Darroch who organised the visit and the trail. Joe works for National Museums Liverpool as a Visitor Assistant at World Museum, he is a valued HOP member and a representative of Veterans HQ. The event was a wonderful opportunity for Joe to bring these strands of his work together and it was thoroughly enjoyed by all. Joseph said: “As expected it was very competitive. All of the teams participating completed the course in very quick time with a large percentage of the answers being correct. It was very fitting that Veterans HQ TEAM 2 were the close winners.